Do you want to know one of our beauty secrets? We would love to share our secret for silky lips with you. Drum roll ... You can get lips without fissures or flakes when you use Pure Paw Paw! This cheerful line of ointments conjure your lips in no time in the softest lips ever. Pure Paw Paw is therefore one of our beauty essentials that we can no longer miss! You want this too? Go check it out! 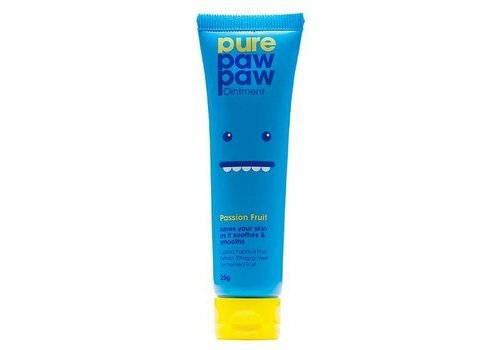 Pure Paw Paw is an Australian beauty brand that specializes in the very finest creams ever. These ointments are made from pure papaya, which helps the skin to heal and soften. The superfine ointments they put in a cheerful tubes, making it a party to take them in your bag! Pure Paw Paw promises to conquer the world, so do not miss out! The Pure Paw Paw range consists of various ointments that will turn your world upside down! These beauty dressers mainly take care of your lips, but can also be used as a primer for your eyeshadow or as subtle highlighters for your cheekbones. The assortment consists of different flavors; original, watermelon, strawberry, passion fruit and grape. Which is your favorite? Want to buy Pure Paw Paw? Shop quickly at Boozyshop! Let those kissable lips come! All you have to do is order your favorite Pure Paw Paw cream at Boozyshop. It is especially fun when you order for more than € 30; then you get a free gift from us! Sooooo nice! Hurry hurry babe, order quickly at Boozyshop!